We love playing retro games – but there’s an elephant in the room when it comes to playing them – do you buy the vintage systems and games, or are emulators for you? We’re here today to talk about the pros and cons, and the costs, of every type. This is the most authentic retrogaming experience you can have. The games and controllers work how they’re supposed to work, and most older systems are easy to take care of. Most retro systems (especially Nintendo systems) are readily available on the secondhand market. You can pick up functional systems at yard sales, or online – usually for under $100. The controllers and other accessories are usually pretty inexpensive, but specialty items (like the Nintendo Power Glove) can cost you a pretty penny. Most of the games are very affordable, averaging $20 or under, but the most popular older games, and the rarer ones, can cost you hundreds of dollars. These old systems are usually much more durable and difficult to break than the newer systems. Nintendo systems are known for being able to endure kids and all they can dish out, and very infrequently will they need to be repaired. If you do manage to break them, vintage systems are usually easy to find stores which can repair them, and most repairs are fairly inexpensive. Older systems need a few special items to connect to modern televisions, but they are affordable and pretty easy to set up. Vintage systems also come with a benefit that’s often unspoken: playing original games on original systems is legal! You do not open up yourself or your family to potential pirating charges. There are other legal ways to play old games, but this one is probably the most obvious. In the past decade, there have been numerous official emulating systems. This year’s completely sold out Nintendo Classic Edition is a great example. It’s a new system, with retro style accessories and look, with dozens of retro games loaded onto the hard drive. Sega Genesis Classic comes with games pre-loaded, and functions much like the Nintendo Classic Edition. The systems are often reasonably priced for the first-hand market – but, like the Nintendo Classic Edition, fetch a high price on auction sites and people reselling their systems. Accessories are reasonably priced, and the systems are easy to hook up to modern televisions. As for the repair market, some repairs are very easy and inexpensive. These systems aren’t the tank-tough systems of our youth, though, and breaking them is much easier. Given that these are small computers, it’s also much easier to break them irreparably, so please be cautious with these systems! Officially licensed devices are not the only way to play older games. There are emulator systems out there that are a lot like those mentioned above, but that aren’t made officially branded. There are websites which run old games and emulate them without the user needing to download either the emulator or game. Lastly, there are a multitude of downloadable emulators and games. Systems like RetroEngineSigma play games across gaming platforms – but the games don’t come pre-loaded. The Raspberry Pi system can easily handle retro gaming emulation. These systems, on their own, are 100% legal. There is nothing illegal about purchasing a standalone system pre-loaded with emulator software. These systems come with their own accessories, and are usually fairly easy to set up, and are affordable. Repairs for these systems can be tricky – as not every shop knows how to fix them, but it’s still possible to repair them. Much like the official emulators, these are not as sturdy as the vintage systems, and are made of modern computer parts, so take care with them around kids. There are websites which run emulators, with the games accessible for play without downloading. These websites, vary greatly in legality – but the website assumes the liability for any potential breach of the law, rather than the person playing the games. These websites are often populated with a lot of games which are now public domain, and therefore are legal for them to offer for gameplay. The games which they are not allowed to offer for the public to play will sometimes get removed (via a cease and desist order), and sometimes the website will get shut down altogether. This is relatively low-risk to the average user, since no games are downloaded. These websites are, however, known for running numerous ads, and run the risk of potential malware. As for downloading emulators onto your personal computer, there are many options to choose from. ZSNES, Nesticle, JNES, and VisualBoyAdvanced are just a few of the dozens of easily available and free emulators. Downloading the emulator is legal, as it’s simply a piece of software. There are several legal options for accessories, which can easily plug into the USB on your computer. The accessories are relatively inexpensive, and easy to come by. Downloading and running the emulator on your computer means that there is no need to find a repair person for the system aside from your regular computer store. If the emulator doesn’t work, or it glitches, you can easily replace it with a different emulator. So in this regard, the cost is significantly lower than an independent emulating system. Since you’re using your regular computer to run these, the usual cautions apply about being careful with your computer. Especially if you have accessories plugged into the USB port, an excited kid could certainly pull a laptop off a desk. Given that you’re downloading software onto your computer, you run the risk of corrupted files, viruses, and malware – so be sure to know your source, and scan files before you run them. Emulators on your computer are also more likely to lag or have frame rate issues – given that the system isn’t intended to run the older games. Another potential complication is that some of the emulators are intended for computer-savvy people to be able to adjust things like frame rate and color within the settings to optimize gameplay. Someone unfamiliar with the multitudes of settings could struggle to make the adjustments needed. A big benefit of emulators on your computer are increased options for saving. Retro games are much easier when you can save at any time, and have many save files. Tool Assisted gameplay via emulators is how some of the best gaming speed runs are done. Downloading the games onto these independent systems or onto your computer, however, enters into a big legal grey area. Some intellectual property and copyrights are highly guarded/enforced (Legend of Zelda for the NES, for example), and others are not. The laws concerning downloading the games varies from game to game, company to company, and copyright to copyright. Your average user is unlikely to be prosecuted for a download. Most of the prosecution is actually done against mass distributors. It is also commonly levied against those those otherwise profiting from that downloaded game. The system you ultimately choose will depend on your technical savvy, your budget, and your comfort with potential copyright infringement. With such a wide variety of options, there’s sure to be one which fits your family and your budget. Weigh out the pros and cons for each and find a great way to get your retro game on! Retro games are a product of their time. While most kid-friendly games are unlikely to contain content which is excessively violent, overtly sexual, or gory in nature, some older games do have questionable content. This content can include open bias against characters based on their gender, race, appearance, or behavior. So what do you, as a parent, do to address these things in games which are otherwise kid-friendly? Personally, I try to take an approach similar to the way I talk about Warner Brothers cartoons with my daughter. There is a fair amount of racist content in their vintage cartoons and we try to talk about it when we can. WB continues to air some of those cartoons on streaming services like Amazon, etc. 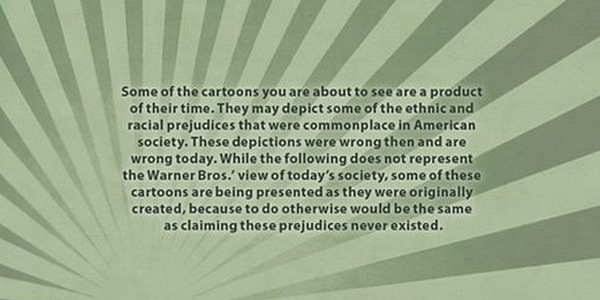 They do so with a warning though stating that the cartoons portray some of the racial prejudices which were common at the time. They go further to state that these prejudices were wrong then, and wrong now, and that they only continue to show these cartoons because “to do otherwise would be the same as claiming these prejudices never existed.” I think it is important to handle these issues in video games the same way. Facing them head on by talking to your child is a great chance for you to teach them that biases exist, and how to handle them. How some characters could be more in control of their emotions by talking about them. If you’re up for a next-level discussion about these topics, talk with your kids about how to speak up (or call in the help of a grown up) if they see these sorts of things in real life. Kids are able to understand kind interactions from a pretty young age – and helping them foster their ability to set a kind example for others can make a big impact. Teaching them the basics of call-ins (addressing bias directly, but discretely) with their peers, or how to provide direct support for someone being treated poorly helps give them tools to manage a complicated world. In our household, the Mega Man franchise is a big deal. My husband is a huge Mega Man fan. We play through the games, read the comics, and have Mega Man toys everywhere. A few years back, our daughter lamented that Roll (Mega Man’s ‘sister’) wasn’t a playable character, and mostly played a support role, despite being built to be just like Mega Man. We explained that, for a long time, you didn’t see a lot of female playable characters in games. Some of this was because video games were aimed at boys, and people mistakenly thought they wouldn’t like to play a female character. Other video game companies simply made male playable characters because that’s what everyone else did at the time. We talked about how Roll played a bigger part in other parts of the franchise, and which aspects of the Roll character she’d like to have in the video games. We spent a few minutes dreaming up her ideal gaming experience – which would be a Mega Man game which allowed for either Rock (Mega Man) or Roll to be playable, and maybe even a cooperative mode. Then we talked about the games we all liked which had playable female characters. It was a quick and easy way to address the issue, and think about what would be better. It’s important to stress with these older games that we, as a society, often mess up – and the most important thing we can do afterwards is learn. We are always growing and learning new ways to be kind and respectful towards others. It’s important to acknowledge when people have gotten it wrong, and celebrate when you encounter something together which was done well. So when you encounter great things in older games – camaraderie between characters, good storylines, etc. we have to highlight them. The Legend of Zelda series is full of stereotype breakers – from Zelda-as-Sheik, to the quiet and small Link. Metroid’s Samus is the strong, independent hero who just happened to be female. There are so many great characters across the old games. We hope this article helps you feel empowered to tackle some of those great old games which sadly come along with some old prejudices. Facing those issues head-on gives us not only the chance to address some of life’s harder subjects with our kids in a simple way, but it is one way we can acknowledge the growth society is always going through, towards a kinder tomorrow.